What Part of the 99% Are We? 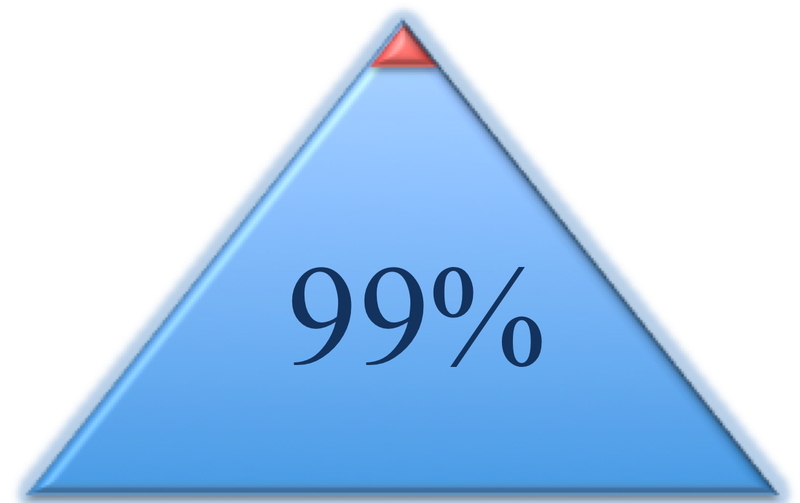 In America, 99% of us fall into the lower portion of the first pyramid. More and more of us are falling faster and faster to the bottom, losing our jobs, our homes, and our future on the way down. We need change. But we’re only about 300 million people out of nearly 7 billion in the world. And very few of us fall into the lower portion of the second pyramid. 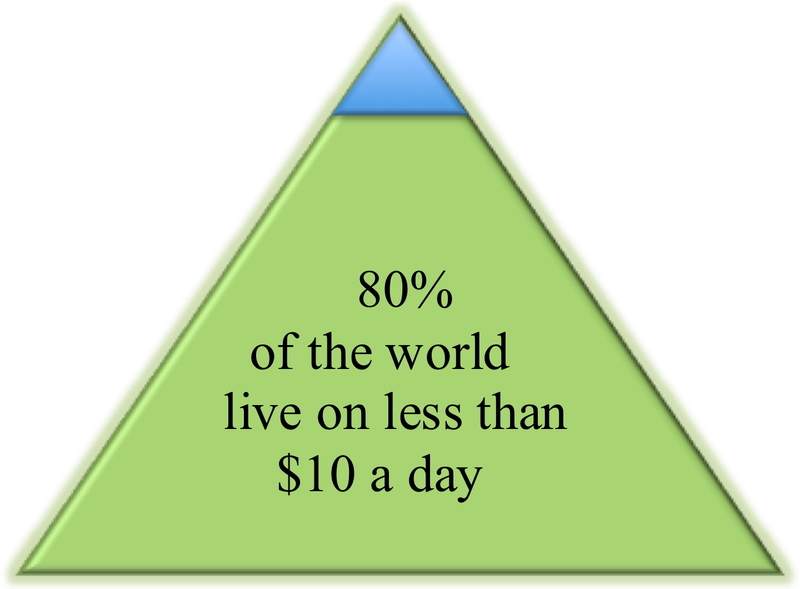 We’re part of the developed world, the upper 20% that consumes between 60%-80% of the world’s resources. Those of us who are part of the 99% in the first pyramid look at the 1% above us, wondering how and why so much wealth and power ended up in their hands. Maybe we think about how nice it would be to shake loose some of the change in the pockets of the super rich. And maybe, just maybe, all of the billions below us on the pyramid are thinking the very same thing about us. Change is good for us. Change is good for all of us. Go here and here to think about change.